The Aztec empire was of vast size and population (millions) that benefited from a central control. This made possible the massing of armies in numbers of thousands and of a system of communication, which made regional resistance possible. Cortes found that his conquest of Mexico would not be as relatively simple as his colleagues’ of the Incas. The process of gradual trade, leading to the killing of the leadership was not possible in Mexico. Structurally, it was the religious beliefs of the Aztecs that gave Cortes and his forces the opportunities necessary for conquest. But, that conquest was not easy, as towns goaded each other into resistance. Armed with inferior weapons and armor, the much larger Aztec forces fell more often than not to the Spanish steel and cannon fire. There were many towns too, that had suffered greatly under the totalitarian rule of Montezuma that were more than willing to lay down their arms to the Spanish without resistance. However, force was not Cortes’ only weapon in his conquest, he used political and religious manipulation to its fullest extent. Though the exposure of the Aztecs to the illnesses carried by the Spaniards had an effect as well, it was the open acceptance of the arrival of Cortes and his men by Montezuma which allowed for such a complete and total conquest of the Aztec nation. Violence in Aztec Society research papers explain why they were always at war, their sacrifice rituals, and the cannibalism in their society. Medicinal Practices of the Aztecs Research Papers - Because of the lack of a written tradition among the Aztec empire that allows a full reconstruction of their society, the understanding of their medicinal practices. Culture Research Paper Topics for Anthropology Courses. Francisco Pizarro Research Papers on the Spanish Conquistador. From 1519 to 1523, he was the mayor and magistrate of Panama City, and based on stories of Cortez's conquering of the Aztecs, undertook two expeditions. The Story of Guadalupe Research Papers - Missionaries had attempted to convert the Aztecs to Catholicism but most of their conversions were forced and unity was not achieved. Ayurveda Research Papers delve into the homepathy method of treating illnesses, it focuses on the spiritual balance that maintains a healthy body. Ancient Civilizations Research Papers cover 10,000 and 3,000 BCE. 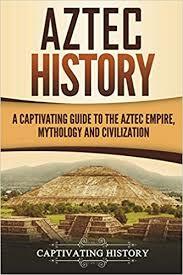 Aztec Empire research papers explore the Spanish invasion and report the fall of the Aztecs. Victors and Vanquished Book Reports - Using material from Victors and Vanquished to illustrate your points, discuss and analyze the factors concerning the Aztecs that allowed Cortes to be successful. Age of Discovery of New Continents - Spanish Conquest in the Americas - Cortes, however, in his invasion of Mexico, met a centrally ruled Aztec Empire. Order a research paper on the Age of Discovery from Paper Masters. Paper Masters writes custom research papers on Aztec Empire and explore the Spanish invasion and report the fall of the Aztecs.